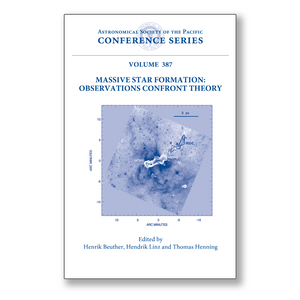 These proceedings of an international meeting held May 2007 in Girdwood, Alaska, USA provide a comprehensive overview of recent theoretical and observational work on the nature of extragalactic jets, from parsec to kiloparsec scales. Special emphasis is given to the interaction of jets with their environment and to the insights this interaction can provide. The invited reviews, contributed talks, and poster sessions form a detailed summary of the latest findings, as well as illustrate outstanding questions that remain to be resolved. This book is suitable for researchers and graduate students. The origin and evolution of highly collimated and highly energetic outflows from the nuclei of some galaxies remains, after over 30 years of intensive study, and enigmatic process. We still do not know how these jets are collimated, or what they contain beyond relativistic particles and magnetic fields, much less how they come to be in the first place. If we could unravel the mystery of their origins, then it is clear that new and significant constraints could also be placed on the origin and evolution of the "central engine," presumably a massive black hole, that creates them. This is turn would give rise to new constraints on the formation and evolution of the parent galaxies and their environment. The quest for insights into the nature of these objects has always been made difficult by the last of information conveyed by their simple power law radiation spectrum, and so much of the information gained must be inferential. However, the hope remains that by gaining an understanding of the interaction of these objects with their environment we may be able to deduce the key parameters of the jets themselves. This strategy of working from "the outside in" is showing increasing promise as higher resolution observations with increasing sensitivity are being made over increased coverage in wavelength, especially as these are cast against results from sophisticated theoretical calculations that include three-dimensional MHD simulations.